Welcome to Dock & Go, LLC's Marine Leasing Web Site. We lease, sell and buy wet slips at Lake Travis Marina, Austin Texas - try our slips, we stay functional, high or low water - can other marinas say that? We extended our boat launch an extra 15 feet - so yes, you can launch your boat even in low water environment! Lake is UP, DOWN, or JUST RIGHT- it's time to get out there and have some fun! 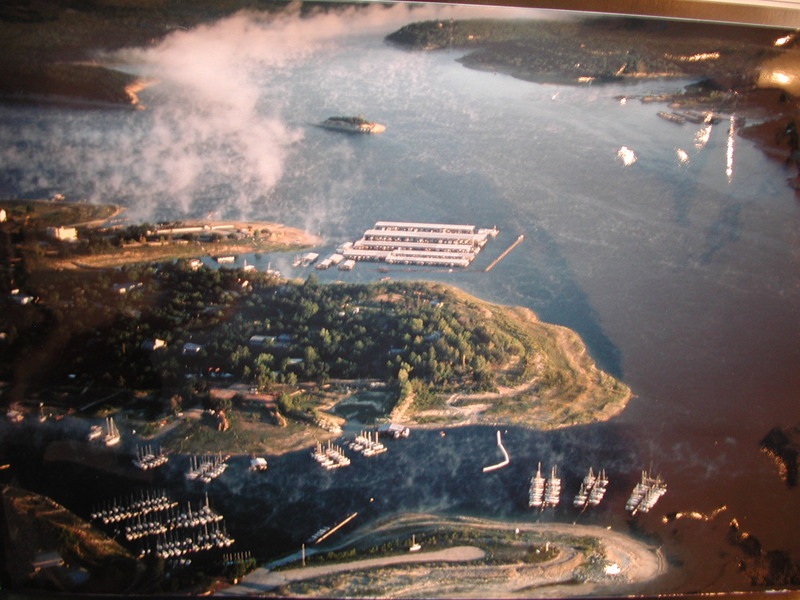 Aerial View - Hudson Bend with Lake Travis Marina in the upper middle. 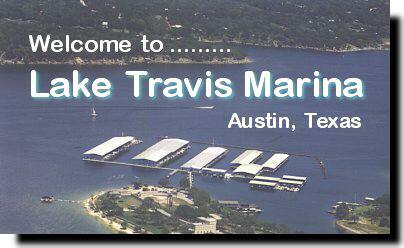 Dock & Go, LLC leases wet slips at Lake Travis Marina. These leases run for one full year with some multi-year leases available. Some month to month rentals are available. These slips can accommodate boats over 50 feet long and 18 feet wide depending on the slip selected. From time to time, Dock & Go, LLC has wet slips for personal ownership. Please visit the inventory page for additional information. 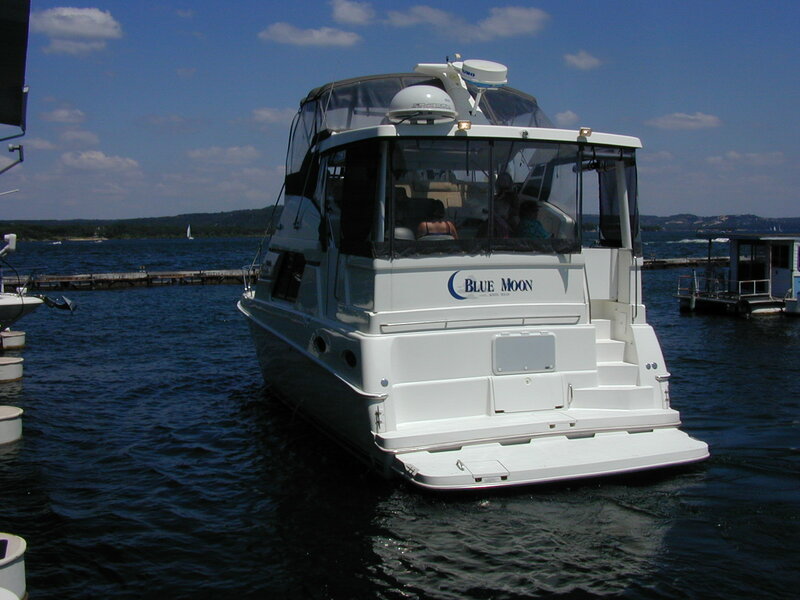 Dock & Go, LLC's MY "Blue Moon" leaving Lake Travis Marina from the "L" Dock. This dock contains both 16 x 40 and 14 x 36 foot wet slips. Notice the smooth water within the marina and the great location to the left at Hudson Bend. Please note that WE DO NOT CHARGE EXTRA for OVERHANG on BOAT LENGTHS. Generally, a 20% Overhang is allowed.